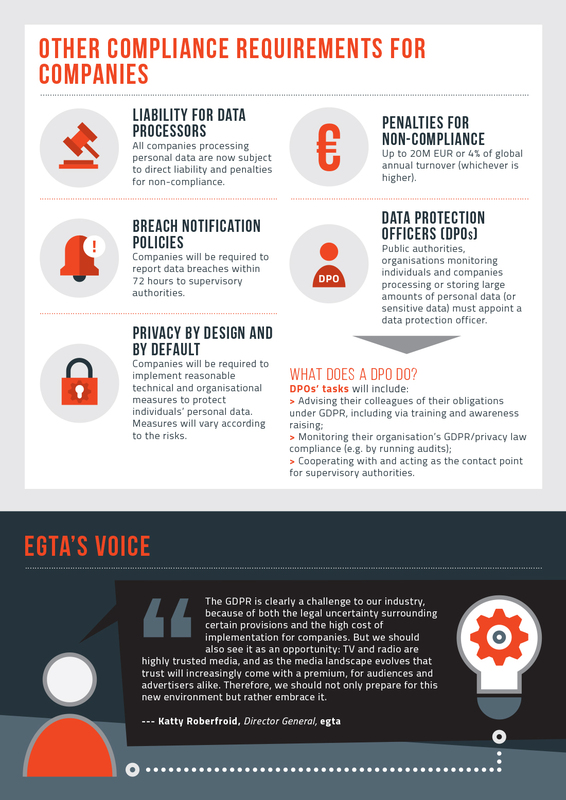 egta EU brief on General Data Protection Regulation is now available! 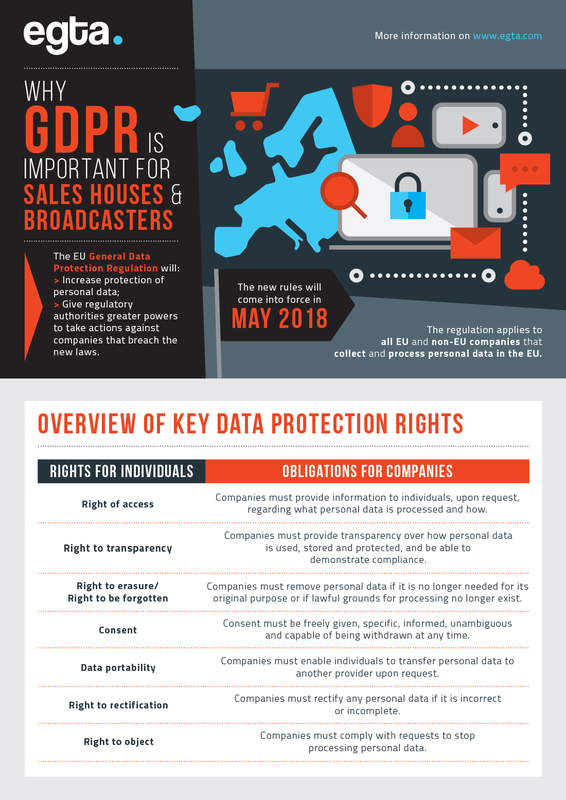 In response to requests from egta members, our Regulatory and Public Affairs Department set out to produce a clear and precise overview of the most important aspects of the GDPR, addressed specifically to sales houses and broadcasters. 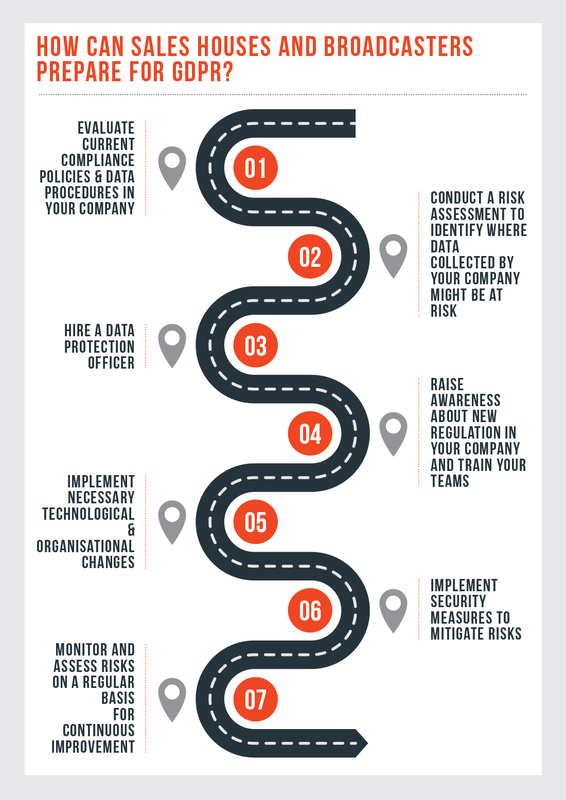 This document is supplemented by a short infographic summarising the most important rules that will apply to your business. 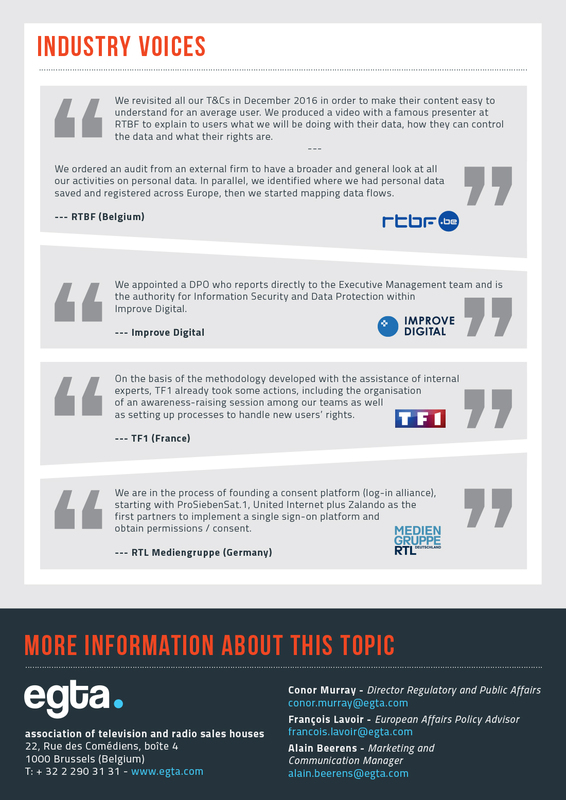 As further guidance becomes available from national and European regulators, we will continue to post additional information on our website as well update the guide, where necessary.